This weekend, I was happy to spend some time outdoors. 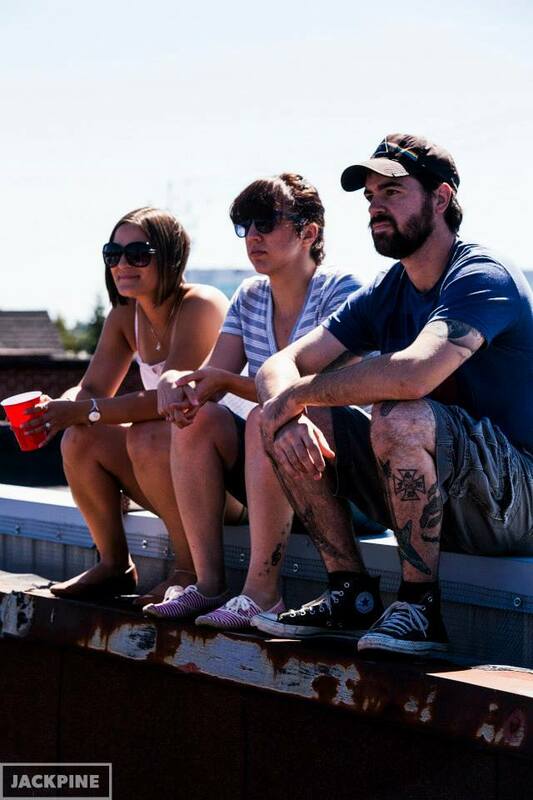 Saturday afternoon, G and I met up with my gal Elly to check out some live music on a rooftop. Yep, on a rooftop. 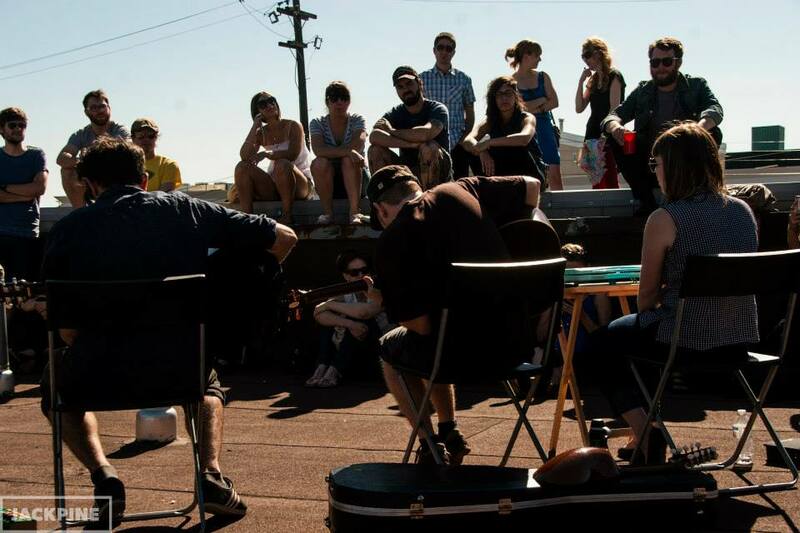 This was part of the 4in1 Ottawa Music Sessions, which takes place every month in random spots in the city, featuring local bands and musicians. Great concept! The rooftop that we took over that afternoon was that of the JackPine Agency. First up was Greg McEvoy, a singer-songwriter from Toronto. I really enjoyed his style of folk music and his lyrics were stuck in my head all day. McEvoy will be playing in Ottawa again in a few weeks at Avant Garde Bar. Go check him out! Also, he's a super chill and nice guy. Then it was Ilvekyo's turn. The duo from Peterborough was really entertaining. They showed up a bit late, so they didn't play as long as I would have liked them to. Their music sounded like a mix between rockabilly and country. I especially enjoyed the music, especially because of the stand up bass. That usually seals the deal for me. I sure hope these guys come back to town sometime. Afterwards, Ottawa's own StillNative performed. Their folk sound also included some elements of blues and jazz at times. It was quite interesting. The vocalist has a nice voice, kind of like Tom Petty meets Bob Dylan. I really wanted to check out the group when they played at the Ottawa Fringe Festival on Canada Day, but I had traveled to Montreal instead to see Woodkid. I'm sure I'll get a chance to see StillNative play again soon. Finally, it was time for Fevers to jam. The electro/indie rock band gave us a tuned down, chilled out, acoustic performance. This show was part of the 24 hour fever event, in celebration of the release of the group's debut album "No Room for Light". They played a couple of shows within a 24 hour span, including a show at Mugshots Friday night, and an official album release party at Mavericks later that night. They put on a great performance, and Sarah's voice was absolutely beautiful! Unfortunately, I wasn't able to catch their show at Mavericks that evening. However, I am looking forward to seeing the group play their material in its intended form. Here are some pictures that the awesome folks from JackPine took that lovely afternoon. On that note, check out "Endless Summer" from the Jezabels, a band I was lucky enough to see live last summer. This song seems quite fitting right about now. Enjoy!